The units are especially useful in GC carrier gas lines to ensure that undesirable moisture does not enter the instrument. 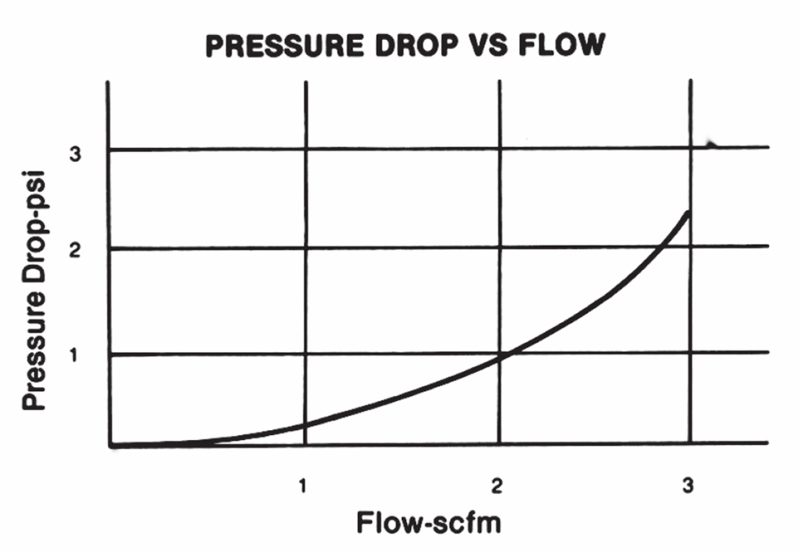 Water can contribute to inaccurate results and the rapid deterioration of expensive chromatography column separation phases. 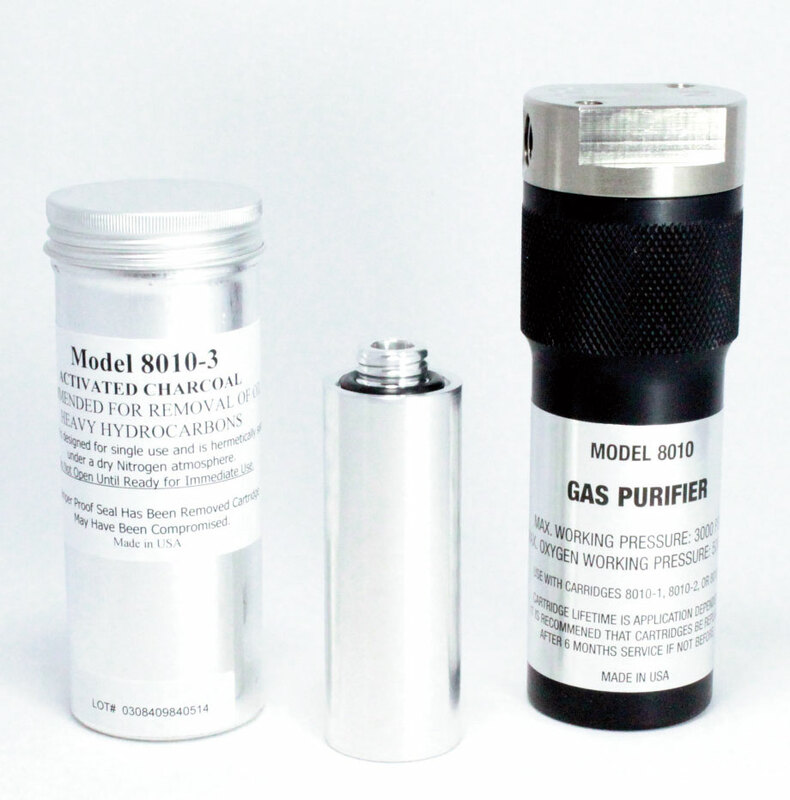 The model 8010 purifier shell must be used in conjunction with specially designed replaceable cartridges. Models 8010-1, 8010-2, or 8010-3 are filled with various adsorbents. Model 8010-4 contains a 5 micron sintered bronze filter element. These are described below. These cartridges are shipped in hermetically sealed cans in a dry nitrogen atmosphere with convenient screw caps for easy opening. This improved packaging ensures full retention of capacity in storage until the time of use.